Home > Google News > Misc Google > Really Google? Google Shopping Express? Really Google? Google Shopping Express? So it appears Google is now going to compete against Walmart, Amazon, eBay and the like to offer same day delivery service for items you want immediately. 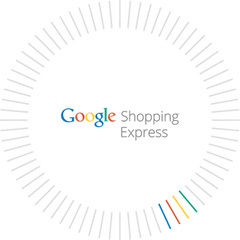 Google announced a new pilot test they are trying out called Google Shopping Express. Google said Google Shopping Express is a local delivery service that we hope will make it possible for you to get the items you order online the same day, and at a low cost. Currently it is only available to those in the San Francisco Bay Area. Plus the only merchants participating right now include Target, Walgreens, Staples, American Eagle and Toys“R”Us/Babies“R”Us, San Francisco's Blue Bottle Coffee, and the Bay Area’s Palo Alto Toy & Sport and Raley’s Nob Hill Foods. Truth is, Google already provides this type of level of service to their employees. Yes, they will take care of your shopping for you if you do not have time. So extending it others in the area may make sense? Or maybe not?